Late last year I picked up a wreck of a 1974 D35 for a few hundred dollars, thinking it could be an interesting project. I had the cracks in the top stabilised, the neck reset, and some frets dressed and looked at (they were surprisingly ok) by Mr Glyn, oh, and a new bone saddle. 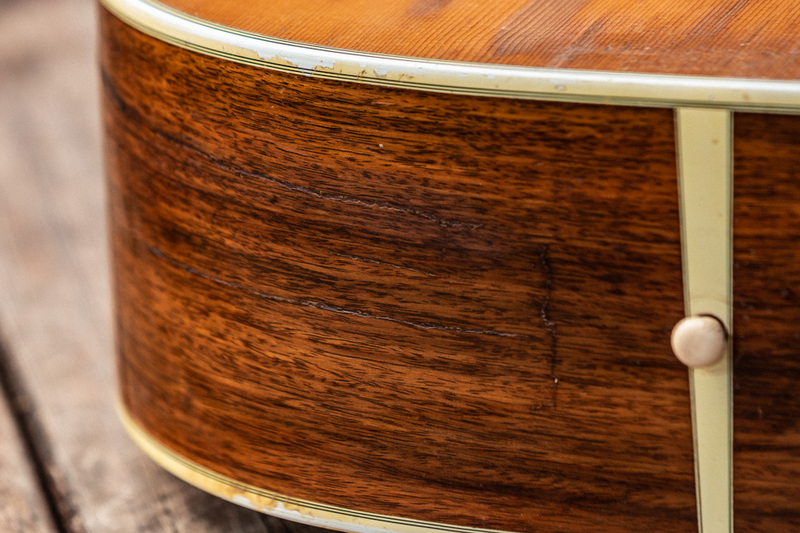 Professional opinion is that at some point the guitar took a knock on the lower bout around the end block, which shunted it forward, caused a brace to snap which caused the top to crack under string pressure. The end block has been put back, the lower bout crack repaired (ages ago by the looks of things) and a brace has been replaced. There's also a cleat in there too that looks like it's been there a while. The cracks aren't going anywhere and they look old. 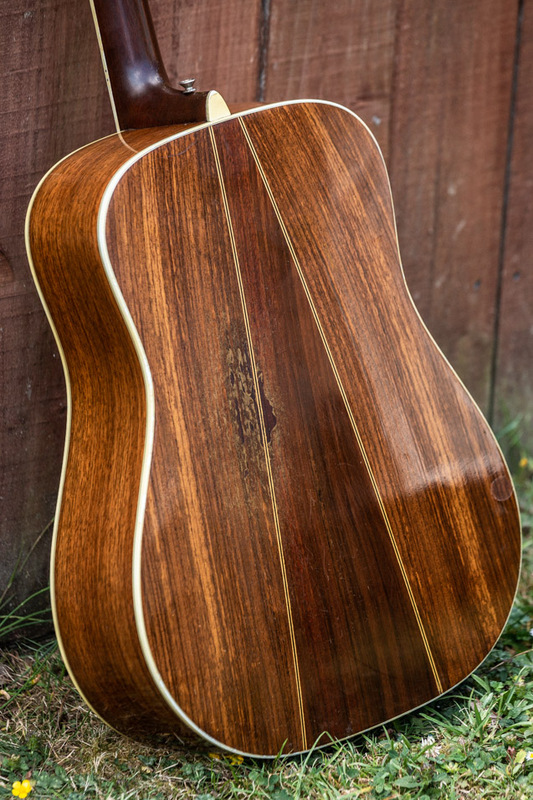 The neck too, is great with a nice ebony fingerboard and those 70s Grovers. The good: sounds great. Plays alright. Sounds like a Martin. The Bad: it looks like it looks. Now then, with all this said, what do you think it's worth? 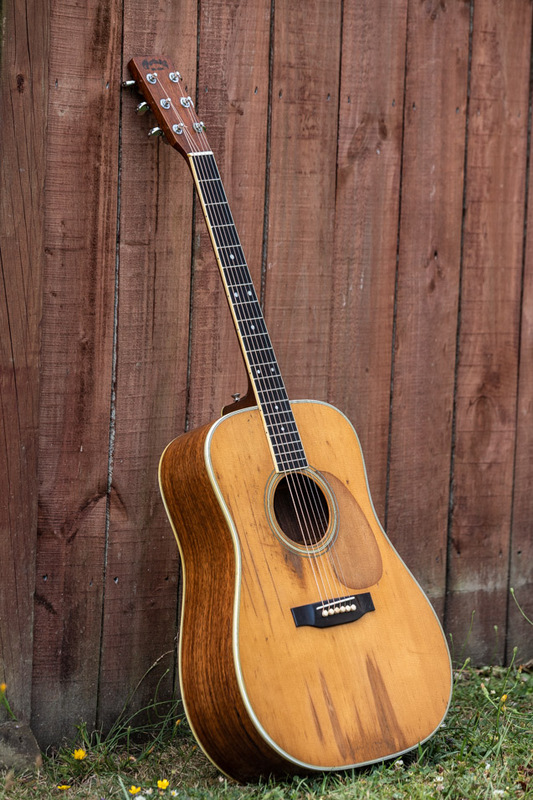 I know a new one is ~$4000 and I'm under no illusions this is worth $3k like a regular 70s Martin but I am curious what would be a fair asking price. I've got a family member of a colleague sniffing around as he likes the post-apocalyptic vibe and I've no idea. I'm about $1100 into it all things considered (not in one go) which might be crazy but I've got this thing about rescuing the neglected. The bad? That looks awesome! I think it looks cool as!!!! I agree. That's what made me take the chance and dig into the savings to go for the neck reset (those things ain't cheap!) and at the end of the day, it's a vintage Martin. But when it comes to dollar value it's anyone's guess. Any ideas? Can't help with valuation - but I think it's cool looking and has a great story. 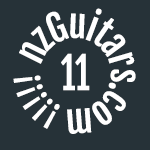 You could put it on trademe at a price you'd be ok letting go and gauge the actual interest. NippleWrestler wrote: I agree. That's what made me take the chance and dig into the savings to go for the neck reset (those things ain't cheap!) 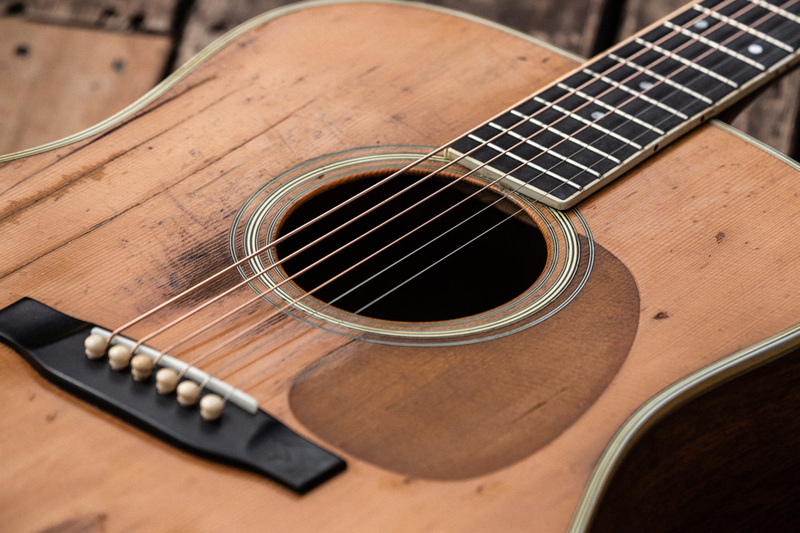 and at the end of the day, it's a vintage Martin. I reckon it depends on playability and sound. If it sounds and plays great, I don’t see why you couldn’t ask up to $2k. If it only plays OK, maybe closer to what it owes you (especially if there’s not much you can do to improve it)? I'd be happy to pay you what it owes you + some extra for your troubles. Dream guitar for me, especially looking how it does! It sounds good. To really get the playability 10/10 I think it'd need a full refret just because of the age of the thing and some frets had sprouted but they were glued back down by Glyn, so it's probably at 6/10 at the moment in that regard. Still fine you understand, but I won't be shredding too hard on it. These guys had a fat neck on them too. And yes, it does look cool af. I wish I could get the low down on where it came from. I was in a pawn shop with my wife and she called over "there's a Martin here" and I thought it'd be something lower end they wanted too much money for. It was this guy. Cracked and dirty with 2 nylon strings, 1 metal string and some rusted wire hanging off the saddle where another string used to be. I picked it up and shone the torch on my phone to the neckblock where you could read D35 under some dust and a serial number dating it to 1974. Funnily I remember thinking these are the stories I read about on forums. Anyway, thanks for the insights. I'm somewhat relieved I'm not throwing money into a hole. Nice score. What's the serial number? (On the neck block inside the soundbox). Is that water damage on the top as well? I think since it is not going to appeal to any cork sniffers, it's value now depends a LOT on how it now sounds. 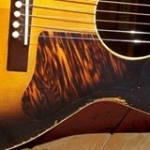 I have a '54 Martin 0017 that has also been through a lot. But it still sounds wonderful. 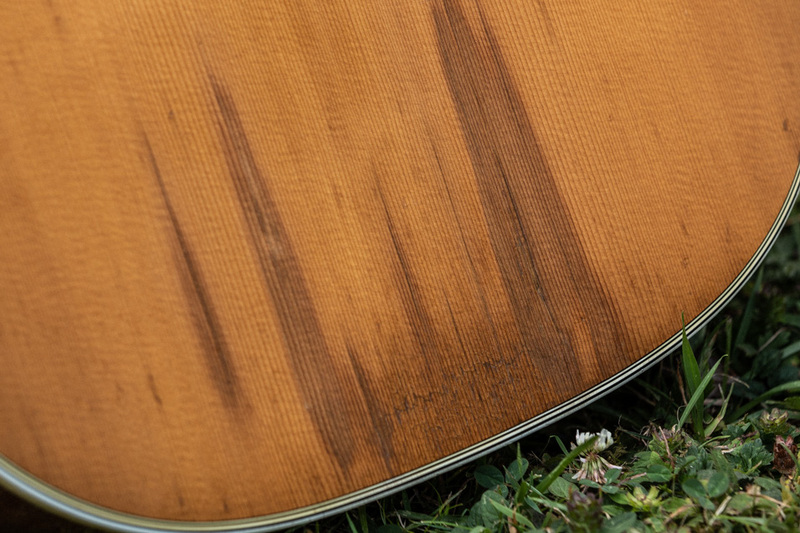 Guitars in this condition do sell on Reverb, and I'd be really surprised if it is not worth more than you have put into it already--provided it sounds right. The cracks are not tight, but they should not ruin the tone. The damage to the top might, it is hard to tell. 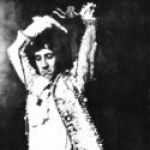 Get in touch with RobNobCornCob--a member here. 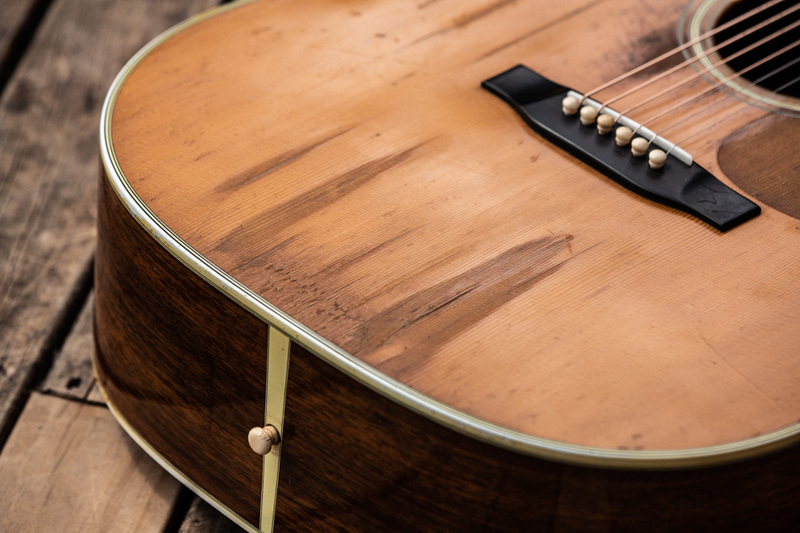 He is a luthier and very knowledgeable with all things Martin. He should be able to help you with pricing. The cracks aren't opening under pressure which is helpful and no light showed through any of them which I took to be a plus. Good call on Rob. Maybe he'll chime in. Otherwise I'll alert him to this thread and see if he can offer some insights. Cheers for the recommendation. 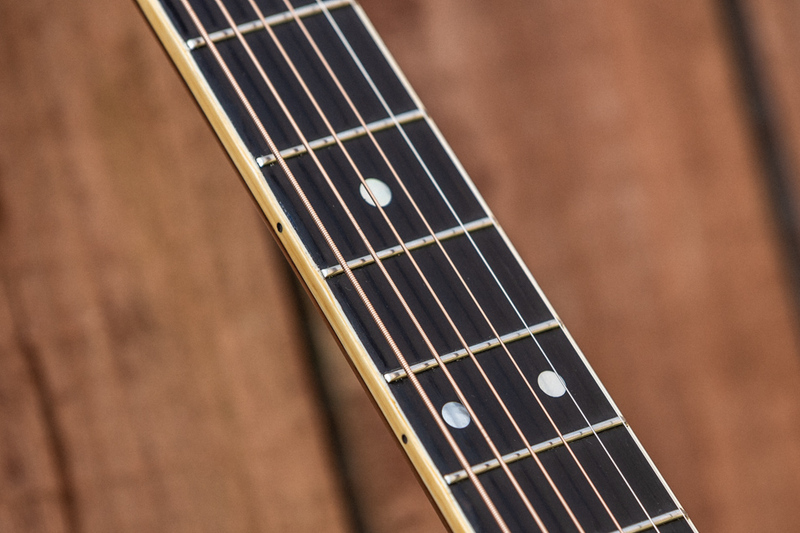 1) Lifting frets on Martins (and many other brands for that matter) with bound fingerboards is very common/routine. 3) If it sounds good then that's all that matters, and a mint one may not sound as good. If you like it then keep it. 4) Mr. Glyn is great. 5) In terms of exact value it's hard to say... happy to discuss further via PM. Most interesting looking D35 I've ever seen. Like. Some empty speculation: If it was completely stable and a guitar that was perfect for me in every way, I'd pay $2500 knowing we'd be together for the rest of my life. The cosmetics don't bother me at all. BUT, I'm not all that common in the marketplace. You're thinking of selling; ask yourself what number you'd happily let it go for. That will establish its value to you. Once you know that, the rest follows naturally. It's worth whatever you can get for it. looks like an awesome guitar and something I'd like to own, given my current lack of an acoustic guitar... but yeah. 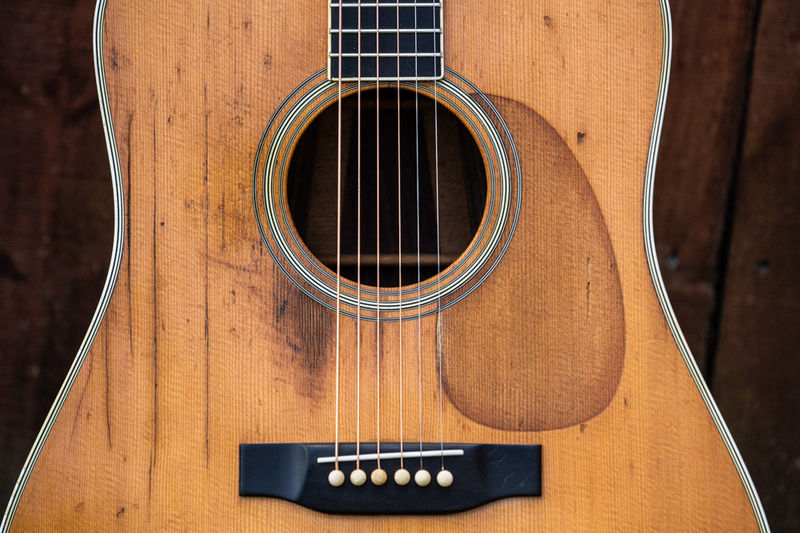 If it plays well and sounds great it's worth keeping probably because the market for repaired second hand guitars won't really get you the total value on the second hand market. Up to you really, make up your own mind. Good on you for fixing it up, it's a valuable contribution. All good points and unsurprisingly logical. I think if someone offered me around $1800 I'd listen, so I guess I have an answer. Whether someone else thinks the same is another matter though. NippleWrestler wrote: All good points and unsurprisingly logical. I think if someone offered me around $1800 I'd listen, so I guess I have an answer. Whether someone else thinks the same is another matter though. I predict you will not own this much longer.